All we need is grapes. So what is the SoloUva method anyway? SoloUva is a method whereby classic-method sparkling wines are produced without the traditional addition of cane sugar to provoke fermentation or to top up the bottle before the wine is released. Instead, reserved grape must is used. Grapes alone go into the wines. As a result, the wines are a pure expression of the terroir where they are produced, not least of all because nothing extraneous is added to the wine. In the 1960s, winemakers began producing classic-method sparkling wine in Franciacorta using the French model. Classic-method sparkling wines are produced by creating a “base wine”; provoking a second fermentation in the wine using added sugar; carrying out the second fermentation in a pressurized environment (a sealed bottle); aging the now sparkling wine on its lees, i.e., without removing the dead yeast cells that result after the second fermentation; disgorging the resulting sediment; and the balancing the acidity and sweetness of the wine by the addition of sugar (or in the case of “zero dosage” or “nature” wines, foregoing this last step). Historically, grapes have been harvested in Franciacorta before complete phenolic ripeness is achieved, when the grapes still have higher levels of acidity and lower levels of natural sugar. 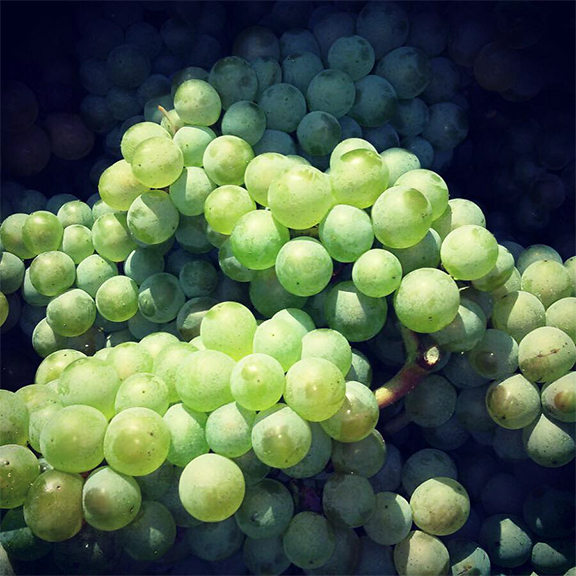 Phenolic ripeness is the full development of the wine’s phenolic compounds, in other words, the elements that give wine its color, flavor, and texture (see this Wikipedia entry on “phenolic content in wine”; see also this excellent post on “Ripeness in Wine” by Jamie Goode). Sugar ripeness is what determines its final alcohol level (fermentation is the result of yeast turning sugar into alcohol). Keep in mind that this formula emerged and evolved in France where sparkling wines are traditionally produced in a continental climate, in other words, in a much colder place than the alpine climate of Franciacorta. As in France, the approach was based on a model whereby cane sugar — an extraneous element — was added to compensate for the resulting high levels of acidity in the wine and to achieve the desired sweetness. When the SoloUva team began experimenting with the application of reserved grape must in place of cane sugar, the winemakers discovered that it was indeed possible to provoke the second fermentation using the natural sugar in the previously reserved grape must (which is frozen at the time of pressing). They also found that the natural sugar of the reserved grape must served as an ideal sweetening agent to achieve the desired sweetness or lack thereof. Because they grew grapes in an alpine (as opposed to continental) climate, they furthermore realized that they were able to allow the grapes to ripen fully — a major break with the French and Franciacorta models. Ultimately, they produced wines without the addition of any extraneous components (namely, cane sugar). And the wines they produced impressed them with their rich fruit character and tannic structure, traits that the winemakers ascribe to the ripeness at the time of harvest. With the development and evolution of the SoloUva method, a new category of Franciacorta has emerged. Is it better or worse than the canonical style? No, it isn’t better or worse. It is different. Does it represent a new and more pure expression of the place where it is grown, the vintage’s growing cycle, and the sensibilities of the people who make it? That is a question you can only answer by visiting us in Franciacorta and tasting these extraordinary wines.